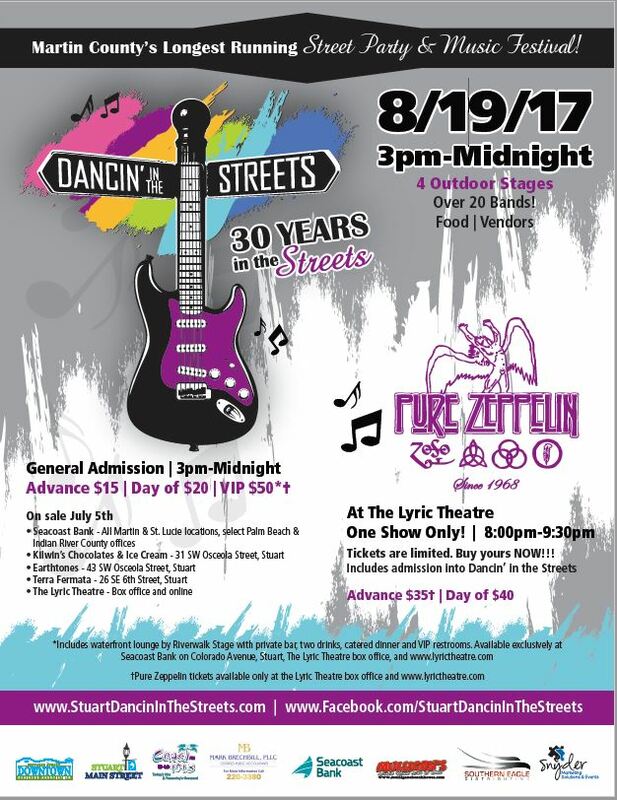 Martin County’s Longest Running Street Party & Music Festival. 4 Outdoor Stages, over 20 bands. Tickets are limited. Buy yours NOW!! !